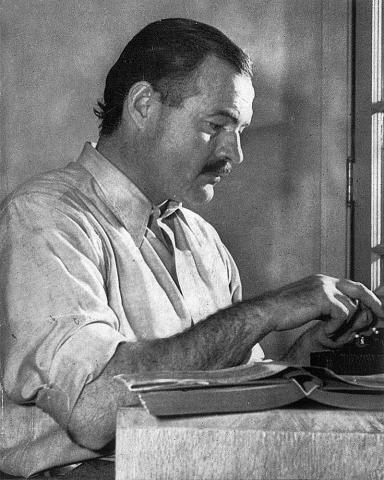 The John F. Kennedy Library have published a blog post on how Visual Correspondence's tools can illuminate the life of Ernest Hemingway. Using data from the Library's detailed finding aid, correspondence from over 50 years of the author's life has been collated and visualised on this site. Read the blog post here. or start visualising his letters. A close friend of writers such as James Joyce and T. S. Eliot, Ezra Pound was instrumental in getting these writers (and many others) published and promoted. And of course he was a major poet in his own right. Find out more about his letters. Creator of the terrifying Cthulhu mythos, Howard Phillips Lovecraft, a.k.a. the Sage of Providence, was often less than wise in his divisive opinions. But he was an inveterate letter writer and throughout his life he cultivated a loyal network of correspondents, many of whom were pioneers of weird fiction too. Explore his network. Thomas Clarke was one of the key architects of the 1916 Easter Rising, while his wife Kathleen was a founder member of Cumann na mBan and became Dublin's first female Lord Mayor. Find out more about them both. Letter writing is a rich and ancient form of communication. It offers deep insights into the thoughts, feelings and experiences of people from every walk of life in a more immediate way than almost any other medium. As well as the content of letters, the set of circumstances surrounding a letter's creation, transmission and reception tells a story in itself. Data visualisation strives to make sense of the large and complex, condensing and clarifying complicated data in a single image. It can achieve an impact that words simply cannot replicate. Visual Correspondence uses data visualisation to makes sense of a person's life through their correspondence. Who they wrote to, who wrote to them, when and where - these flashes of detail unveil a rich narrative about people and our past through images. As well as providing tools to visualise huge collections of correspondence, in bringing together detail on 165327 letters from 56 collections, Visual Correspondence provides a new way to explore the letters themselves. Links to the full text of the letters are provided were possible and added information helps put the letters in context. Hopefully in exploring this site, you will start to see correspondence in a new way.